I know. I know. Maybe I’m pulling at straws here. Pinot Noir is known as “the heartbreak grape.” Additionally, diversity is always a wonderful thing. There are other factors that need to be examined. For example, soil types always influence the grape and the characteristics that show themselves in the final product. Winemaking styles differ from winemaker to winemaker, and that also contributes to how a wine expresses itself. Let me ask you this, then… Do you as a wine lover enjoy that familiarity, or do you thrive off of difference? I’d really like to hear what you think! On that note, I recently opened a bottle of Little Straw Vineyards Pinot Noir from the 2008 vintage. I purchased it straight from the winery in May 2012, and I will never, and I mean never forget the moment I tasted it in the tasting room. I was really into Pinot Noir at the time, and most of the wines I was purchasing were of this varietal. So, of course, it doesn’t really have to be stated why I bought a bottle of this. But here’s the thing – this Pinot Noir stood out to me in a way that most BC Pinot Noir never had. It showed classic characteristics of Pinot Noir, but it also showed its terroir in a fantastically fabulous way. 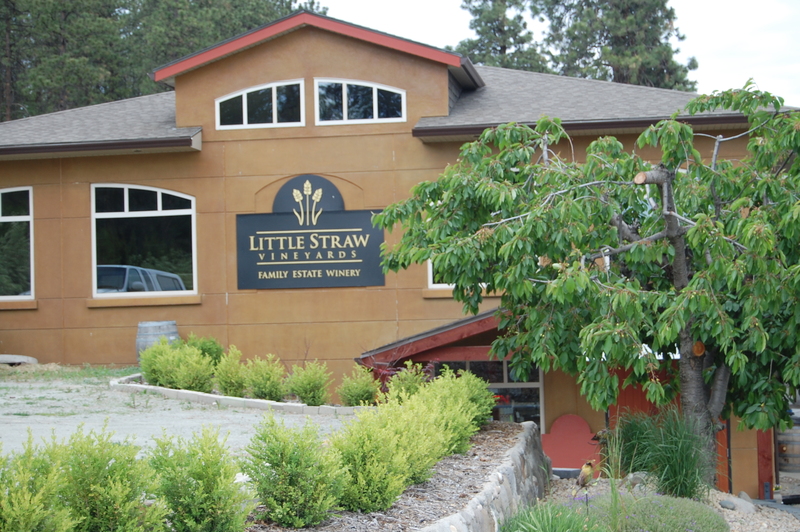 Little Straw Vineyards is located on Mount Boucherie just outside of Kelowna. They are a family-run winery that opened in 1996, and are well-known for the production of their “Tapestry” blend of five very interesting white varietals, namely, Riesling, Auxerrois, Gewurztraminer, Siegerrebe, and Schonburger. One of the wonderful things about this little vineyard and winery is that they participate in giving back to their community. In October 2012, they donated over $5,000 in tasting fees, collected between January and August, to the Westside Community Foodbank. Insert kudos here. 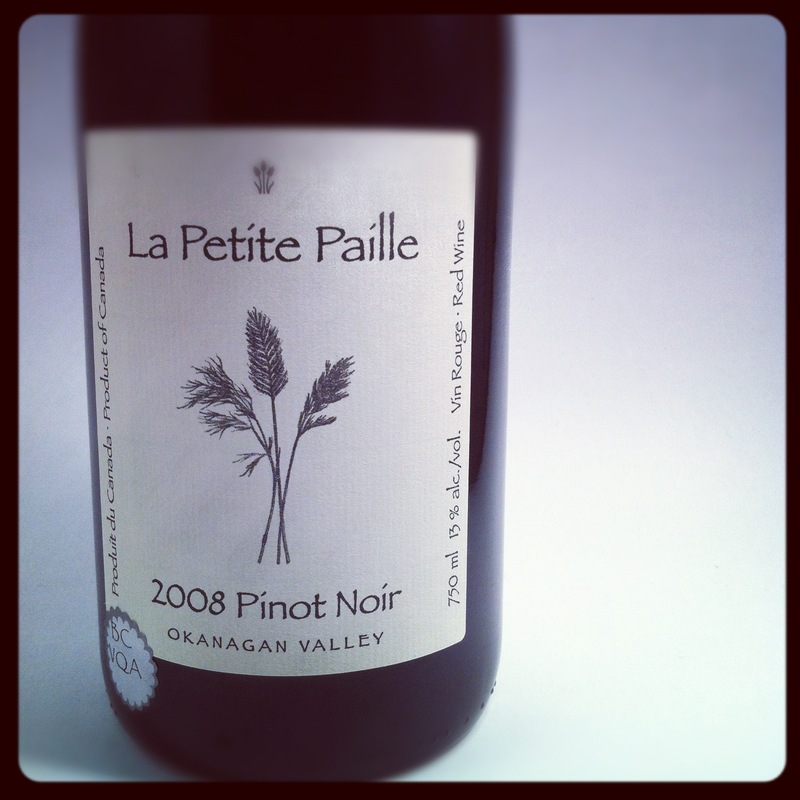 An amazing value at $21.90 per bottle, the 2008 Pinot Noir called “La Petite Paille” stopped me dead in my tracks. Again. Clear, pale garnet, with very fast legs, this medium intensity wine was still developing in the bottle. Boasting with delightful cherries and a side of raspberries, this earthy, dusty Pinot was still impressing me in February 2013. The beautiful bouquet continued with savoury notes, a hint of cracked pepper, and a floral sweetness of vanilla-rose. Soft, rounded tannins set the stage for an interesting palatable experience. Medium bodied and 13% alcohol, La Petite Paille was tart on the back of the tongue with a kick of minerality from those old volcanic soils that surround the vineyard. Strawberries, raspberries, tart cherries, and spicy earth all pushed the long dusty finish. Well balanced, this wine is drinking now, but I’m sure in another year’s time it will still be kicking. 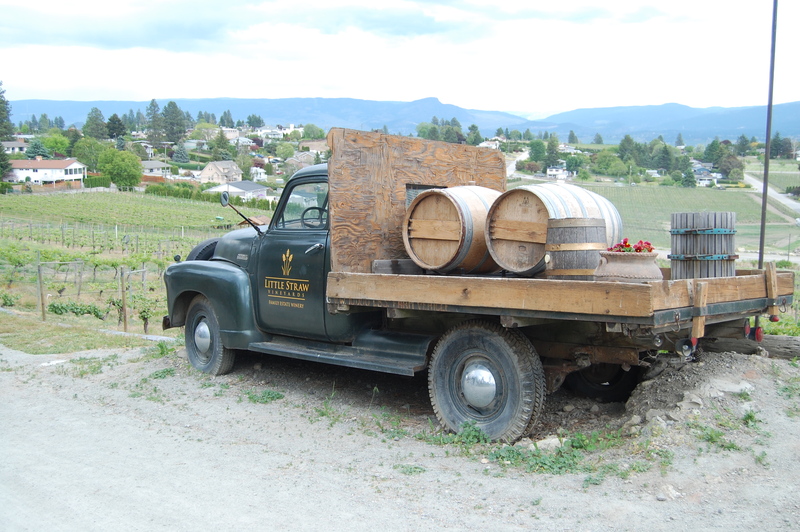 This wine also won Bronze at the 2012 NW Wine Summit and the 2012 Canadian Wine Awards. Need I say more? Bottled in March 2011, and only 172 cases produced, this is a real gem that you do not want to miss out on, folks. Go grab a bottle at your local wine shop, and taste what BC Pinot Noir has to offer. You can thank me later. Great post! I’ve always wondered why I want home-made chocolate chip cookies to taste exactly the same everytime (I just had some fresh from the oven, so it was the first thing that came to mind) but for wine, I prefer diversity. I haven’t ever bought very many full cases of the same wine (mostly, I’m just not in that income bracket) but the ones that I’ve bought, I’ve chosen because they are complex, age-worthy wines that I hope *will* be different each time I open a bottle. I don’t mind that this pinot noir from this producer doesn’t taste like the other pinot from another producer next door as long at it resembles pinot noir in some way. I choose wines loosely based on the foods that I plan on having with them. If I’m having roast chicken, I’m pretty sure that a pinot noir will do and then it’s part of the fun (for me anyway) to see how well this producer’s take on it works. I’m ok with not having complete predictability in my wine choices. Maybe a person’s preference for predictability determines their desire to always purchase the same wine all the time? Who knows? It’s one of those things that makes you go hmm…. I like your statement: ” I don’t mind that this pinot noir from this producer doesn’t taste like the other pinot from another producer next door as long at it resembles pinot noir in some way.” This is where I stand as well, but I have found that Pinot Noir from BC is so hit or miss. I’m guessing the climatic challenges of being in this area highly contribute to how extremely different Pinot Noir is in the BC region as compared to a Burgundian or New Zealand Pinot. Thinking about your comment, it could definitely be a huge benefit that BC can offer such diversity from one area. Either way, Little Straw’s 08 Pinot, I believe, exemplifies Pinot Noir in a most fantastic way!